There are certain foods in China where not everyone dare to try. Rabbit head is one of them. This dish has no resemblance at all to the cute bunnies you are used to. Rabbit heads are skinned, cleaned and fried. They are very spicy, and supposedly delicious, if you can get over its appearance (they still look like rabbit heads …). According to those Chinese who like this dish, the best parts are the rabbits tongue and brains. 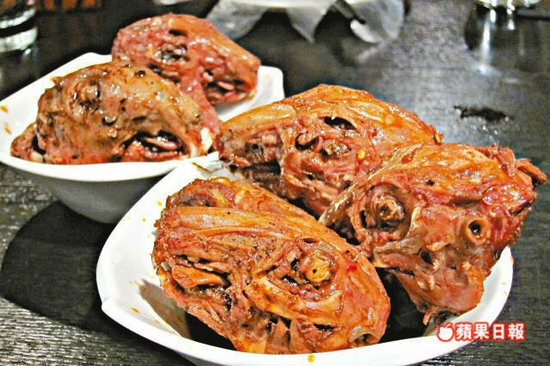 Sounds disgusting, but if you visit cities in Sichuan provinces, you’ll see that they have an entire street lined with rabbit head restaurants, the dish is indeed enjoyed by many local people. 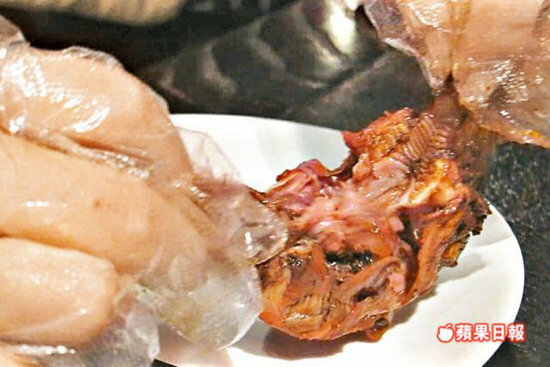 One of the specialist has opened brunch in Beijing, the restaurant can sell 600 rabbit heads each day, each will cost 8 yuan (US$1.29), some customers can order 10 of these for a tasty nibble. 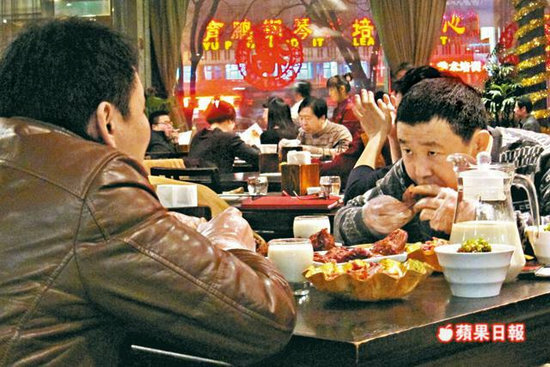 The rabbit head restaurant in Beijing can attract 500 to 600 customers per day. Chinese food lover is ready to nibble the spicy rabbit head.